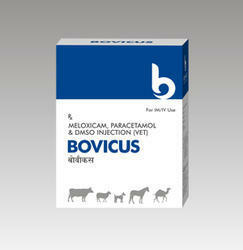 Our product range includes a wide range of bovoxone-s injection, cefquinome injection, bovinome injection, curoxy la injection, bovicus injection and infertigo injection. 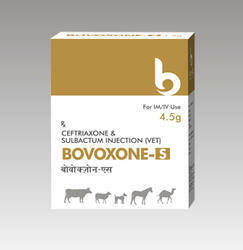 Bovoxone-S is a combination of Ceftriaxone Sodium & Sulbactam Sodium. Ceftriaxone is a member of third generation cephalosporin antibiotic having excellent activity against most of the gram-negative and gram-positive bacteria. Sulbactam is a β-lactamase inhibitor it inhibit β-lactamase, an enzyme produced by bacteria that destroys antibiotics. It provides synergistic effect to the antibiotic. 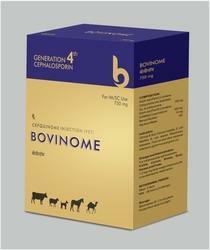 BOVINOME is a Cefquinome Sulphate antibiotic which is an extended spectrum Beta-Lactam antibiotic and member of the Fourth Generation Cephalosporins. 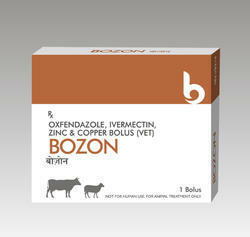 It is an Amino Thiazole Cephalosporin which have safe and well tolerated in veterinary medicine. Gastro Intestinal Tract Infections: Bacterial diarrhoea or dysentery caused by E.coli, Salmonella, Shigella, Campylobacter, Clostridium etc. Long Acting Oxytetracycline dihydrate is a broad spectrum antibiotic of tetracycline group which is bacteriostatic in nature and effective against wide range of Gram positive and Gram negative bacteria. Enriched with unique vehicle system maintains minimum inhibitory concentration in blood up to 72 hrs. 1 ml per 10 kg body weight by IM route only. 1 ml per 4 Kg body weight by SC route only. Bovicus is a non-steroidal anti inflammatory drug (NSAID) which is having anti-inflammatory, anti-exudative, analgesic and antipyretic properties. Inflammatory conditions associated with pneumonia, pleuritis, mastitis, prolapse of uterus, laminitis, myositis, arthritis, surgical interventions, otitis etc. 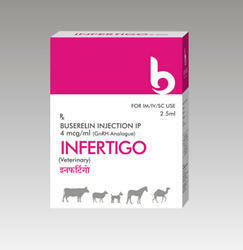 Infertigo is a ready to use buserelin injection. Buserelin is a peptide hormone which is synthetic analogue for Gonadotrophin Releasing Hormone (GnRH). Buserelin acetate equivalent to Buserelin IP 4 mcg. Along with sterile needle, syringe & swab in a tray pack. Delamon is Cloprostenol sodium injection which is a synthetic prostaglandin analogue structurally related to PGF2¿¿, causes functional and morphological regression of corpus luteum. 2 ml Vial along with sterile needle, syringe & swab in a tray pack. 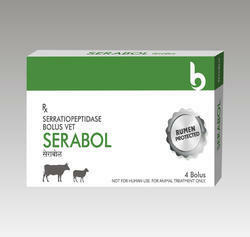 Rumen protected Serratiopeptidase bolus with Anti- Tumefacient Effect. Liquefies Pus, mucus & fibrin clots. Hence provide faster relief from edematous swelling. 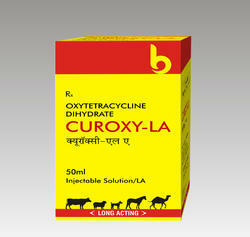 Also can use for effective supportive therapy for Mastitis & Metratis treatment. 4th Generation Cephalosporin group Cefquinome Sulfate Intra-mammary infusion, is an extended spectrum antibiotic effective against wide range of mastitis causing organisms. Prevention & control of clinical & subclinical mastitis.